WASHINGTON — Two of the regions hottest destinations have a lot to offer as the weather warms. 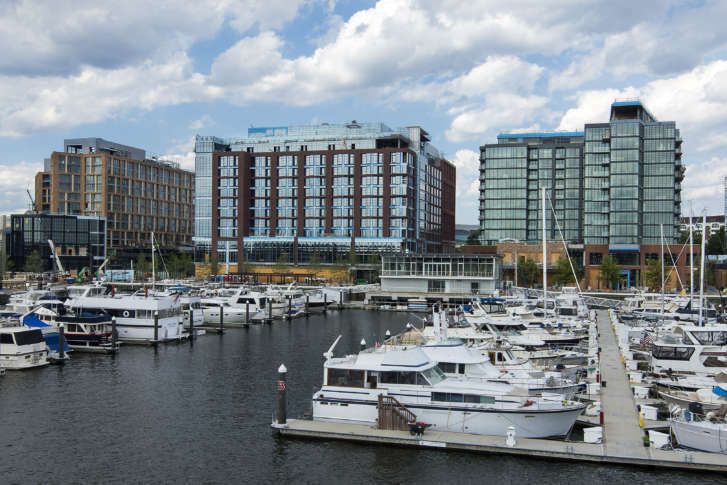 District Wharf, a 24-acre development along D.C.’s Southwest waterfront, opened its first phase in October 2017. Now, it’s ringing in spring with a number of cherry blossom-inspired activities. And across the Potomac River, Alexandria is celebrating a new title. MONEY magazine named the historic Virginia city the no. 1 travel destination in the U.S. — and that’s great news for locals who don’t need to book a flight in order to soak in the city’s charm. Put away the parka: It’s time to come out of winter hibernation. Here are some ways you can do just that. With an array of new restaurants, shops, park space and water activities, there’s no doubt District Wharf will be a popular destination on warm, sunny days. And this spring, the new development is celebrating D.C.’s cherry blossoms with a few different events. From April 1-15, the Wharf will offer kayak tours that highlight the cherry blossoms along East Potomac Park. A single kayak is $35 and tours run daily from 10 a.m. to 6 p.m. at the boathouse. Expect to see water features throughout The Wharf’s sidewalks and piers. Warmer weather also means restaurants and bars will open their terraces and patios. “It’s about connections, it’s about bringing people together and a lot of the indoor-outdoor merging,” Hoffman said. The Torpedo Factory Art Center houses the nation’s largest collection of working artist studios under one roof. It’s open to the public and is free of charge. The center also hosts several events, including talks, exhibits and classes. Music lovers can catch a show at The Birchmere, which Mouledoux said was named “the best listening club in America” by The Washington Post. Check the calendar for upcoming artists, including Don McLean, Los Lobos and 10,000 Maniacs. Shoppers, take note: Alexandria has more than 100 independent boutiques, including The Hour, which “has a spectacular collection of vintage barware and glassware,” Mouledoux said. Explore history where it happened at small museums such as The Apothecary Museum, or grab a drink at a speak-easy hidden inside a doughnut shop. The award-winning Port City Brewery is just down the street. It offers tastings, tours and unique events, including beer yoga. The Mount Vernon trail is the perfect path for walkers, bikers and runners, and those looking for a place to relax in the sun can claim a patch of grass in one of the many waterfront parks.